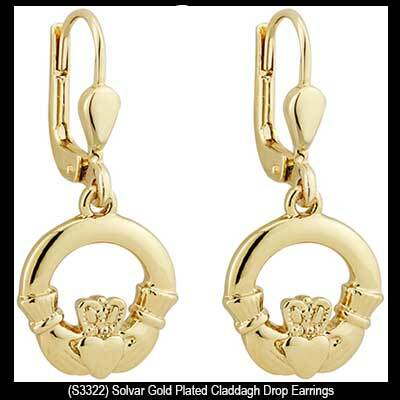 These gold plated Claddagh earrings are a dangle style with a traditional design. 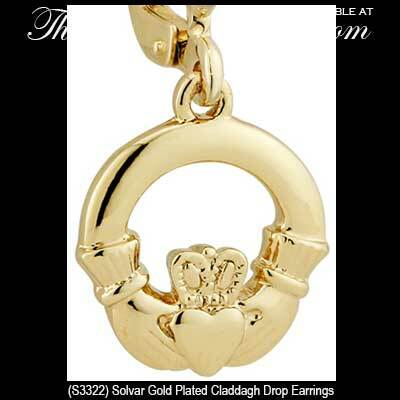 These 18K gold plated Claddagh earrings feature a classic style. 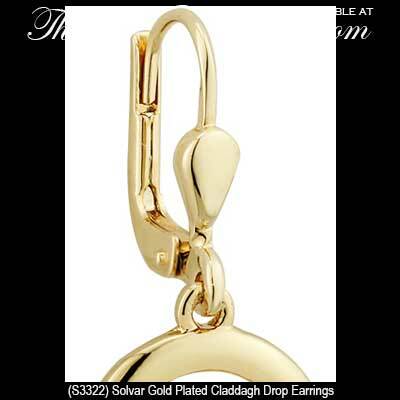 The Claddagh earrings are a drop design on latching Eurowires that measure 1/2” wide x 1 1/8" tall, from the bottom of the heart to the top of the wire.